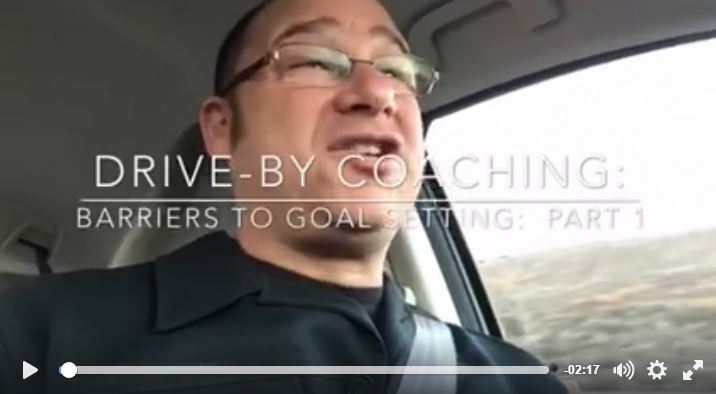 Goal Setting takes over Drive-By Coaching! - Get A Klu, Inc.
Goal Setting takes over Drive-By Coaching! We’re a week into 2016, do you have your goals set? More importantly, are your goals set up in a way that you can achieve them? Since it’s proven that 97% of the population fails to set goals, I created a refresher for you with a 5 Part Drive-By Coaching video series about goal setting, more specifically on why we fail to set goals. (Drive-By Coaching videos are available exclusively on Facebook, so make sure to join me there to watch the latest videos). I’m really motivated to get goal setting content out because I know most people who set resolutions are already breaking them. Ivy league studies demonstrate that all high achieving individuals share in common the ability to set goals, so why do so many of us avoid setting goals? Well, I explain why in each video, and also give solutions on how to overcome goal setting challenges. The great thing about these videos is that most of them are only 2-3 minutes long. You get the knowledge you need in the time it takes you to brush your teeth. PART 1-We fail to set goals because we have a fear of failure. I talk about getting over the ego and why this is necessary for successful goal setting. PART 2– We fail to set goals because we want to avoid negative peer pressure. We don’t want to hear our friends and family tell us that we will never achieve those goals. This is letting other people’s ego get in the way. I talk about the importance of only sharing goals with people who support you. PART 3– We fail to set goals because we don’t realize the importance of goals. I talk about the law of recognition and how understanding this helps us with accountability, visualization and ultimately goal setting. Part 4– We fail to set goals because we don’t know how. This one is simple, I go into my S.M.A.A.R.T Goal method and how this will empower you to set and achieve goals. Part 5– We fail to set goals because DOING SO commits us to PAIN! I talk about the two types of pain we could encounter if setting goals and why they should NOT get in our way! If you want more specific details on how to set goals, make sure to check out my S.M.A.A.R.T. Goal Setting Webinar for Success. Wishing you all a happy, healthy and S.M.A.A.R.T new year! This entry was publish on January 8, 2016 / Jeffrey Klubeck, M.A.. Posted in Business Coaching, Drive-by Coaching, Goal Setting, Life Coaching, Video and tagged Drive-by Coaching, goal setting, SMARRT GOALS. Bookmark the permalink. Pingback: Mind The Gap: Goals vs Resolutions, 2.0! - Get A Klu, Inc.
Pingback: Coaching While Driving? Celebrating the Big 5-0! - Get A Klu, Inc.